This is a take on one of my favourite lunches in Belfast from Slims Kitchen, their mighty Steak and Halloumi wrap. There isn't really much cooking involved in this dish as essentially it's a glorified sandwich! However, there are a couple of steps that you need to get right in order to make it as nice as possible. 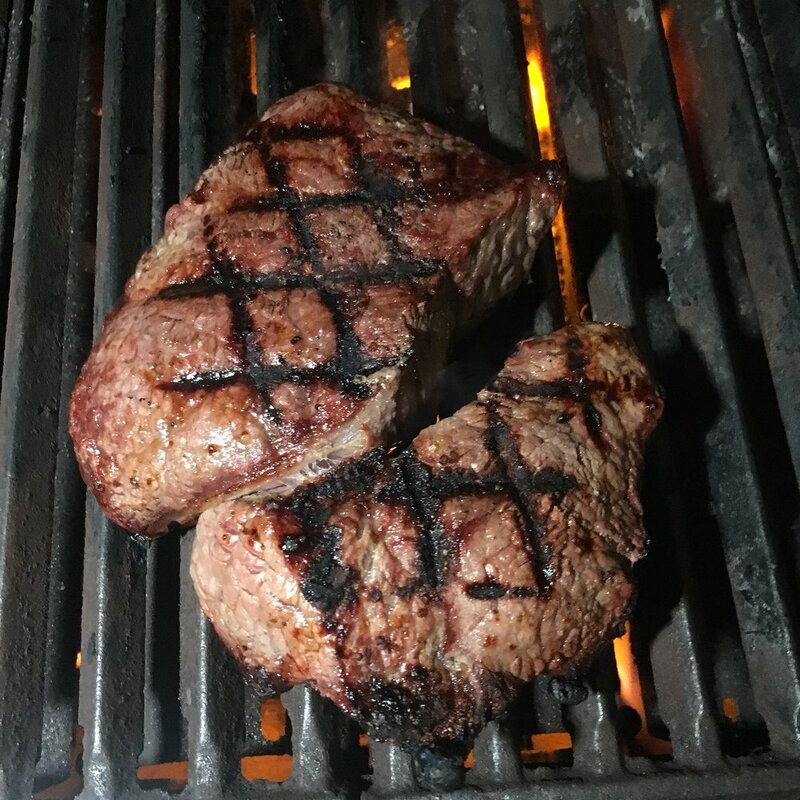 The first is the cooking of the steak. When eating steak between bread it can't be too rare otherwise, you will end up with a blood-soaked sandwich, which isn't going to appeal to many. On the other hand, it can't be too well done either otherwise the steak will be too dry. You are therefore looking for a medium to rare cooked steak which has been rested for at least 10 minutes. The resting of the steak is also critical otherwise the juices will make the bread extremely soggy. I cooked the steak for about 5 minutes per side after seasoning heavily with salt and pepper. 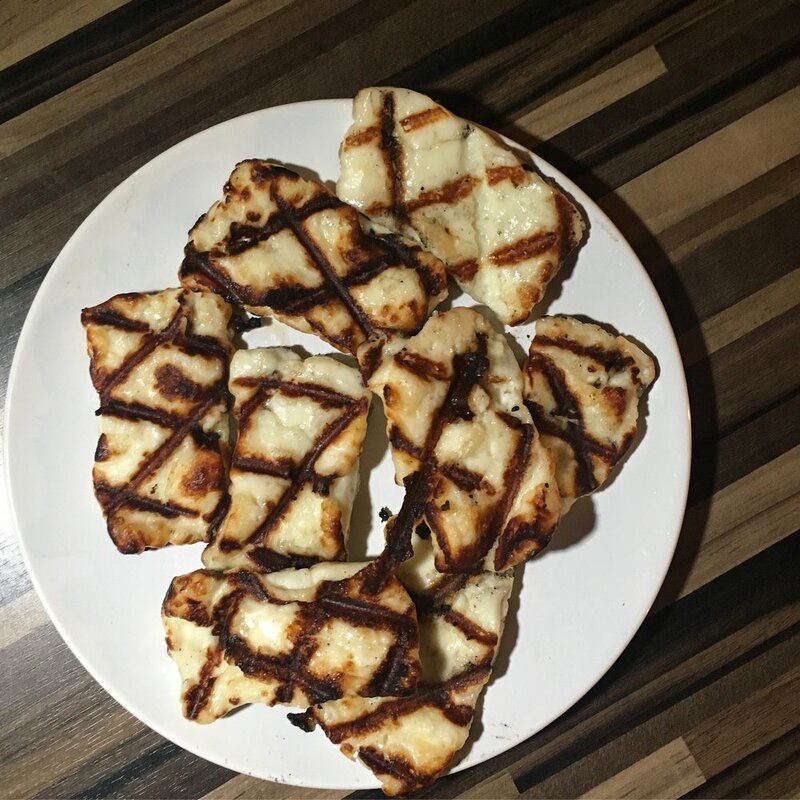 After the steak is cooked set aside and let rest while you cook the halloumi which should take around 2 minutes per side on a hot BBQ. For the chilli and lime mayo simply add the mayo, the juice of half a lime and the chilli sauce to a bowl and mix well.Once the steak has rested slice thinly and start to build the wraps. First spread the chilli and lime mayo on a wrap followed by the halloumi. If you place the steak on top of the cheese it will act as a barrier and prevent the bread from absorbing too much juice from the steak. Finally, add the salad leaves and a couple more spoons of the sauce along with a sprinkling of salt and pepper. Fold the wrap like a burrito and place directly on top of a BBQ grill for 30 seconds per side. This will not only toast the bread but ensure everything is piping hot inside.